Inspire buyers by showing them a finished home that feels both elegant and welcoming. Work with our design team to create the space of your dreams—your style, detail perfect. Rent our high-end designer furnishings and transform any space into a luxury home. 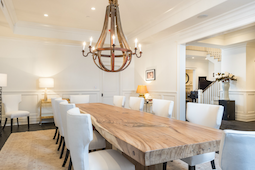 Immediate luxury: One consultation and we fully furnish your new home—you just move in!